"In Kalank, I am playing a character, which is quite strong, quiet a little complex, yet interesting that drew me towards the character when I heard the narration from director Abhishek Varman. It required me to do something. I am the happiest when I am at a film set, so after two years when we started shooting, I was more than excited. That break in between was good for me because I had a fresh approach to my performance," said Aditya Roy Kapur to IANS. "As actors, when we keep working every day, after a point of time we just know all our emotional cards and how to play them. It becomes a little mechanical because we can combine only that much to bring variety," he actor added. 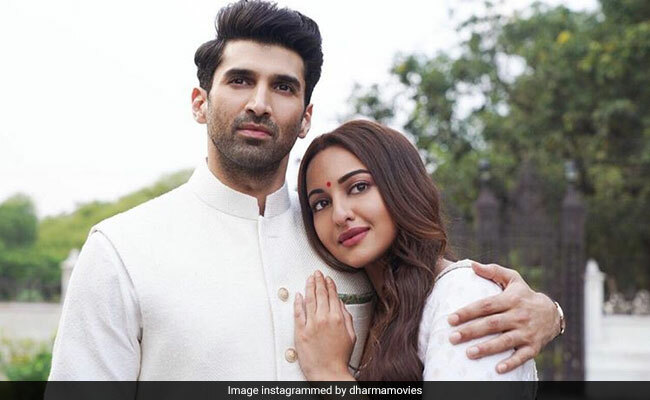 Aditya's acting talent and screen presence has always been appreciated, but that hasn't necessarily translated at the box office with releases like Daawat-e-Ish, Fitoor and Ok Jaanu. "If I want to be a leading man in a film, box office numbers count because producers have invested money. I see no wrong in that process. Unless we earn money from one film, how will we invest money to make another film? It is a fair game only," he added to his response. "In the last two years, the way the business has changed, the way some of the formula films have flopped and some of the quirky, small budget films have done wonders at the box office, there is nothing called formula film anymore. We cannot read a script and say that 'This is potentially a safe one to invest money in'. Perhaps that is why our film industry is becoming a more exciting place to experiment," he said.